In June 2016, WeCare chair celebrated its achievements of the past three years with a special course led by Dr Keith Wilson from Canada. 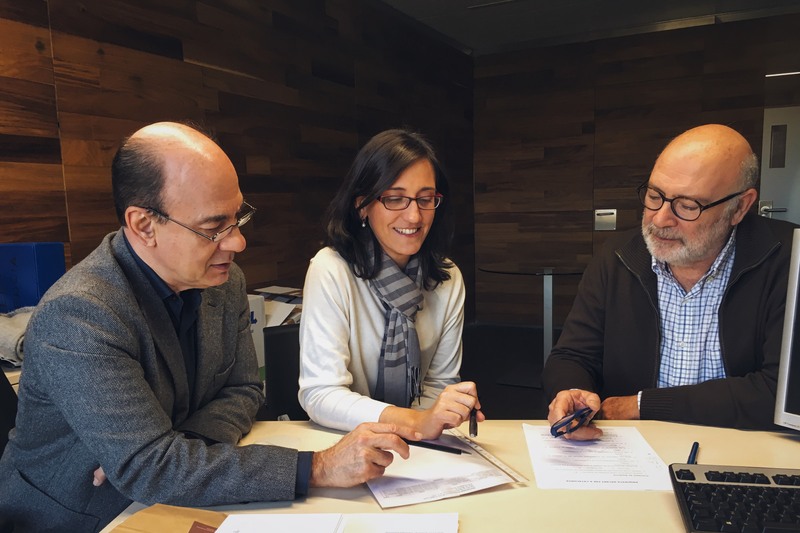 Josep Porta-Sales, Director, Cristina Monforte-Royo, Co-director, and Albert Balaguer, Coordinator, explain. WeCare chair: End of Life Care is a research group based at the International University of Catalonia (UIC Barcelona) in Barcelona, Spain. This year, we celebrated our third anniversary working in the field of palliative care. WeCare’s main lines of research include The Wish to Hasten Death, Meaning in Life, Dignity at the End of Life. With a growing number of publications and conference communications to our name in just three years, we decided to round off our achievements since 2013 by organising a course with Dr Keith Wilson (The Ottawa Hospital Rehabilitation Centre, Canada). Dr Wilson, who is renowned for his involvement in the first studies in palliative care alongside Dr Harvey Chochinov, spoke at WeCare’s annual conference in November last year. His communications entitled Screening for the Wish to Hasten Death at a Clinical level and Responding to Expressions of the Wish to Hasten Death covered the fundamental issues on which the course this June was based. Given Dr Wilson’s clinical experience and well-recognised contribution to the field, the course offered valuable insights into the theoretical aspects of Cognitive Behaviour Therapy and a practical, case-centred approach to developing professional skills. Participants included doctors, nurses and psychologists who expressed particular gratitude for the tools and tips they were given from a psychologist’s perspective that they could use in their own contexts. Besides organising the course, Dr Wilson spent a month as a visiting researcher with the WeCare chair working on their projects and ongoing research. Please visit WeCare Chair website for information about our work, or upcoming courses. (In Catalan, Spanish and English). Or email Rebecca Latter, executive secretary of WeCare Chair, to sign up for our newsletter. Welcome to Madrid – 15th EAPC World Congress, Madrid, Spain 18-20 May 2017. Follow us on Twitter @EAPCOnlus – our official congress hashtag is #EAPC2017. Take advantage of the Early Bird Registration rate until 15 February 2017. After this date, registration is still possible via the congress website at a higher fee. You can also book your accommodation via the congress website. This entry was posted in EDUCATION & TRAINING, NATIONAL & INTERNATIONAL REPORTS, RESEARCH and tagged end of life research, WeCare Chair. Bookmark the permalink. Many congratulations for completing 3 years in the field of palliative care. I wish you all the success and thanks for sharing the blog.